The National Marine Fisheries Service (NMFS) developed the Atlantic Large Whale Take Reduction (ALWTR) plan to protect endangered large whales from entanglements in commercial fishing gear, which can cause injury or death. Because whales continued to die after the ALWTF plan went into effect, NMFS proposed revisions in 2005. 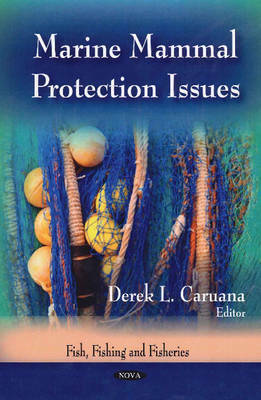 The author of this book discusses these issues, as well as the Marine Mammal Protection Act (MMPA), which requires the NMFS to establish take reductions teams for certain marine mammals to develop measures to reduce their incidental takes. Other bills that specifically address marine mammal regulatory and management issues are examined as well. Furthermore, while some of these issues can be addressed administratively, in regulations proposed and promulgated by the National Marine Fisheries Service, the U.S. Fish and Wildlife Service, or the USDA Animal and Plant Health Inspection Service, others likely would require statutory change. This book lays out the range of issues likely to be raised during reauthorization debate, the reasons behind them, and possible proposals that could be offered to address these concerns. This book consists of public domain documents which have been located, gathered, combined, reformatted, and enhanced with a subject index, selectively edited and bound to provide easy access.